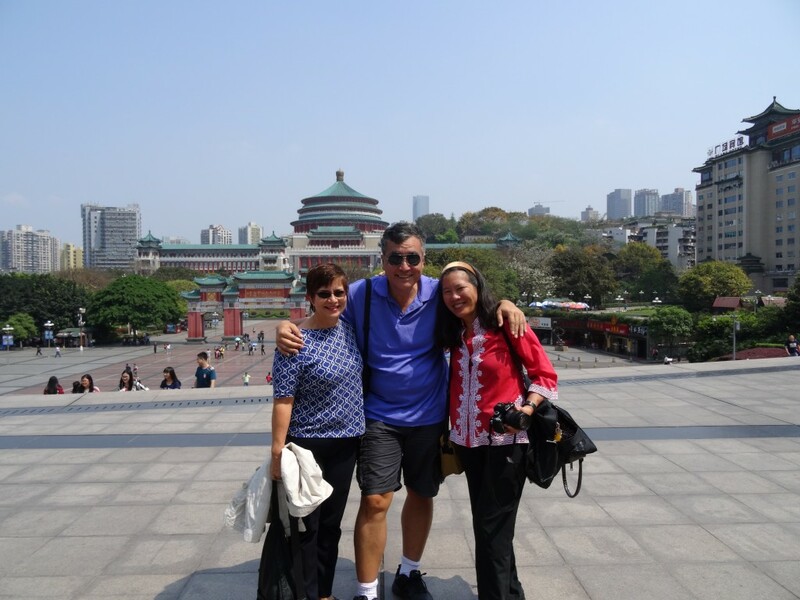 I’m wrap­ping up 2015 by post­ing our mid-year newslet­ter first: I was thrilled to return to Chongqing this past April with FINDING KUKAN’s producer/editor Shirley Thomp­son and our translator/advisor Dax­ing Zhang to com­plete an his­toric trans­fer of KUKAN to Chi­na 74 years after it was first released in Amer­i­ca. Zhou Yong and Robin Lung com­plete his­toric trans­fer of KUKAN to Chi­na. 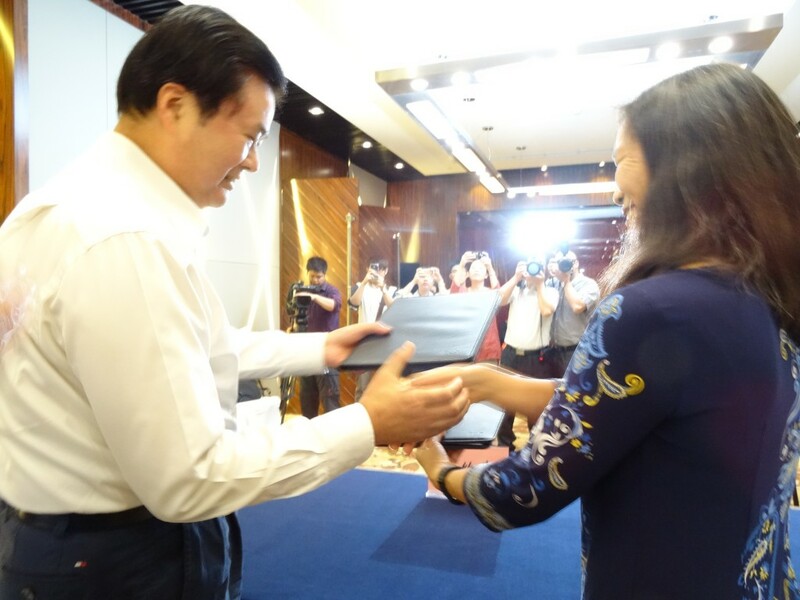 After my July 2014 trip to Chongqing, Pro­fes­sor Zhou Yong, head of The Chongqing Research Cen­ter for the War of Resis­tance, imme­di­ate­ly rec­og­nized the great his­toric val­ue of KUKAN. He began work­ing with us to acquire a copy of the film, and after 9 months of detailed email exchanges back and forth, we final­ly suc­ceed­ed in reach­ing an agree­ment. The trans­fer helps bring a big part of miss­ing his­to­ry to Chi­na by mak­ing it pos­si­ble for peo­ple all over Chi­na to watch KUKAN for the first time and to study it and write about it for many years to come. In Chongqing and Bei­jing, we watched KUKAN bring tears to people’s eyes as they viewed it. It was a mov­ing tes­ta­ment to the pow­er of film, and I have to thank our many sup­port­ers for that expe­ri­ence. Click HERE for more pho­tos from our trip. While in Chi­na we received news that the Nation­al Endow­ment for the Arts award­ed FINDING KUKAN with a Media Arts grant. We are very proud to receive this hon­or which places us in the same group as hal­lowed insti­tu­tions like Lin­coln Cen­ter and The Met. The award meant that we could final­ly pro­duce and film the his­tor­i­cal mon­tages we’ve been plan­ning with our cre­ative part­ners Shad­ow­Light Pro­duc­tions and Chris Do of Blind design stu­dio. Check Part 2 of our 2015 wrap up for a report on our July adven­ture into shad­ow­land. The film is produced in collaboration with the Center for Independent Documentary, a 501(c)(3) non-profit organization.